Thursday’s Darley Yorkshire Oaks at the Yorkshire Ebor Festival marks the first real clash of the generations as the top middle distance fillies do battle. 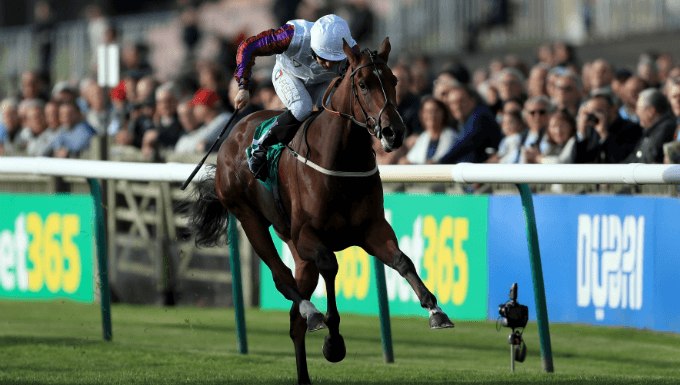 With three four-year-olds, facing five members of the Classic generation, the £350,000 Group 1 has the makings of a real epic, with the Yorkshire Oaks betting telling the story of what promises to be a tight heat. Chief among the three-year-olds is Prix De Diane winner Laurens. Commonly referred to as the French Oaks, the Diane victory marked Laurens’ second Group 1 victory of the season, one which began with a good second over 1m at Newmarket in early May. All three of her three Group 1 victories have been characterised by her spirit and will-to-win, with her neck victory over an extended 1m2f last time out being her biggest margin of victory among those three successes. Given the daughter of Siyouni has yet to run over this 1m4f trip, there has to be concerns over the distance, but the John Dance-owned filly is out of a mare who stayed very well, and holds strong claims of recording a third consecutive Group 1 win. The 4/1 about Laurens winning the Yorkshire Oaks looks value from Bet365 for this tough filly. Magic Wand and Aidan O’Brien-trained stablemate Bye Bye Baby are the only other Irish Oaks runners to reoppose winner Sea Of Class. Magic Wand was a disappointing odds-on favourite when finishing fifth, but has been given a break since and is still the Group 2 Ribblesdale Stakes winner. She was 10/11f for the Irish Oaks, but is available at as big as 7/1 to win the Yorkshire Oaks with Bet365. There could be a dark horse amongst the three four-year-old fillies: Coronet, Horseplay and Eziyra. Coronet comes into this race as the highest rated of the four-year-old fillies, with an official rating of 113 - still 2lbs off the top three-year-old Sea Of Class. She started her campaign with a victory over an extended 1m2f on good to firm ground at this track in May, Horseplay finishing second and going on to win a Group 2. Runner-up to the top class Enable in last year, she would probably prefer some rain to arrive at the Yorkshire venue this week as she chases a first Group 1 win - something that also alludes fellow older fillies. Trainer Dermot Weld has had a relatively quiet season, but in Eziyra he can boast a filly who has won her last three starts, including a seasonal debut over the Yorkshire Oaks trip at Leopardstown recently. While she finished a well-held third in this race last year, she looks to have plenty of ability, and is a possible dark horse at 11/1 to win with Bet365 - for a trainer who has yet to win this contest.